i had you at whiskey donuts, huh? and they are as amazing as they sound. and, of course, EASY LIKE SUNDAY MORNING. though we only make them christmas day because you can't really go around eating whiskey donuts all the time... right? and really, i did you all a favor by posting this AFTER christmas... right. recipe + photos below. 1 tube of pilsbury grands biscuits. REPEAT. biscuits. NOT the stupid delicious crescent rolls. 1/2 c of sugar. helps the whiskey go down. enough whiskey to wet the sugar real good. maker's mark or jack daniels work really well for this. REPEAT. bourbon, not scotch. though scotch will do in a pinch. a buncha canola oil. i'll let you decide how bad you want it. 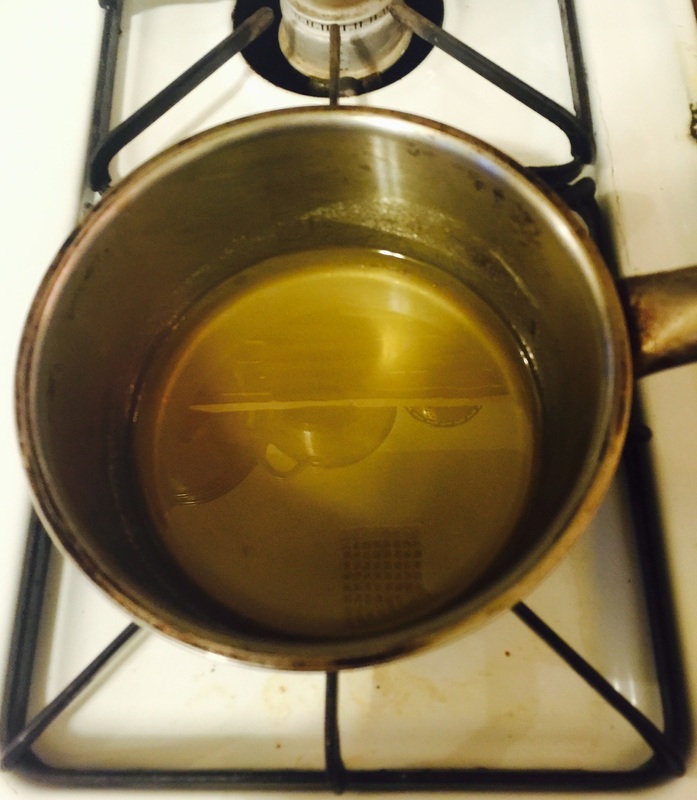 start by pouring a healthy amount of oil in a pan and getting it hot, about medium high. this part will take longer than anything else, seriously. 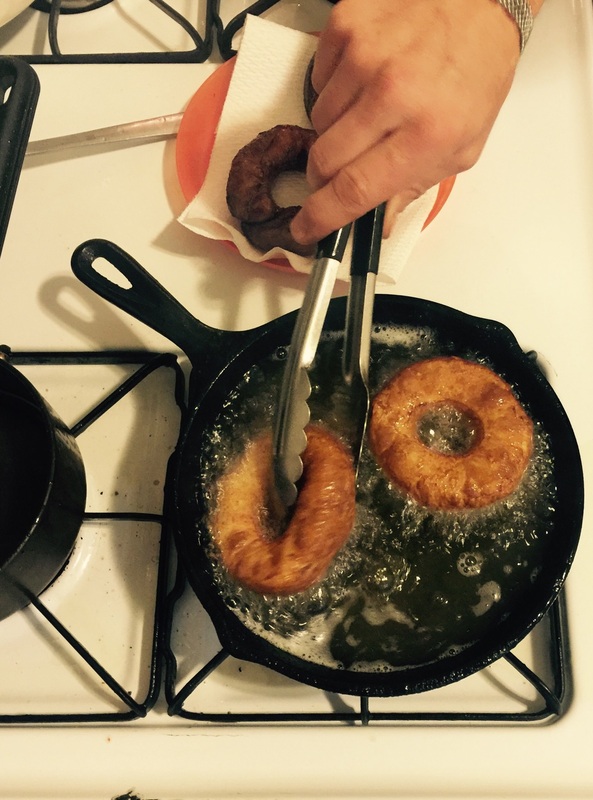 you'll need enough to let the donuts float, so about 1 1/2" of oil. put the sugar in a small pot, pour in the vanilla + whiskey. turn that to low and stir until the sugar melts, which happens pretty quick. as long as that's all become liquid, you're good to go and your oil should start to be pretty hot. now, i should say that you don't HAVE to use booze in this at all, it will still be awesome. but COME ON. i just may start adding whiskey to my oatmeal. because why stop here? omgee, just kidding guys. now pay attention! it's time to pop that tube o' biscuits open. AGAIN, biscuits not rolls. for some reason i just envision this f up happening. separate those bad boys and punch a hole in the middle. for this, you can use a large-ish bottle cap or anything you can find like that. once the holes are punched out, it's time to cook. yeeeeah baby! you are half way there. then enjoy! oh please make this one guys. and maybe take some photos? #drunkindonuts? think about it. in the meantime i'm out!